Sharesource is a remote patient management system which allows doctors to manage their home peritoneal dialysis patients remotely. 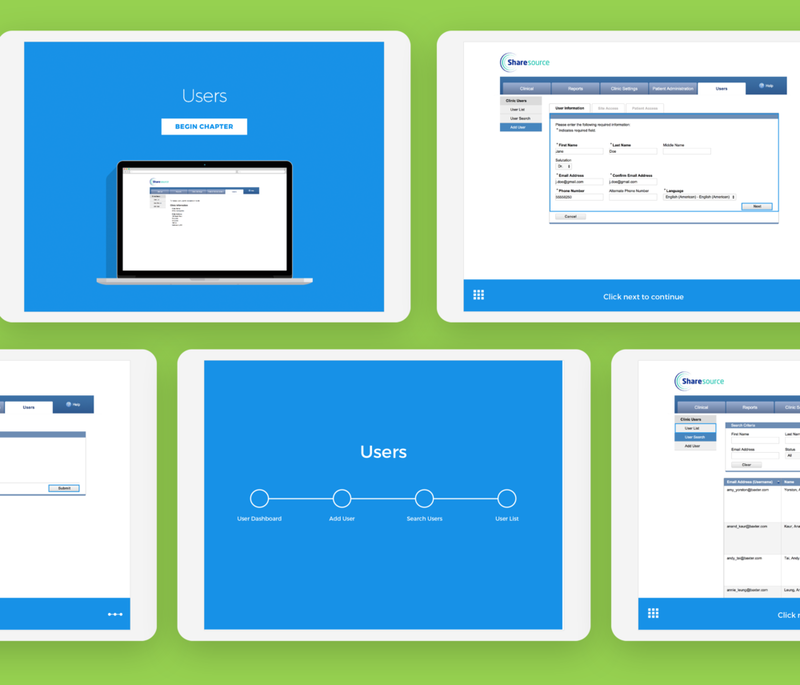 In order to introduce this technology to clinicians, Baxter wanted to create a tool which demonstrated all the features and functions in a clear and easy-to-follow format. 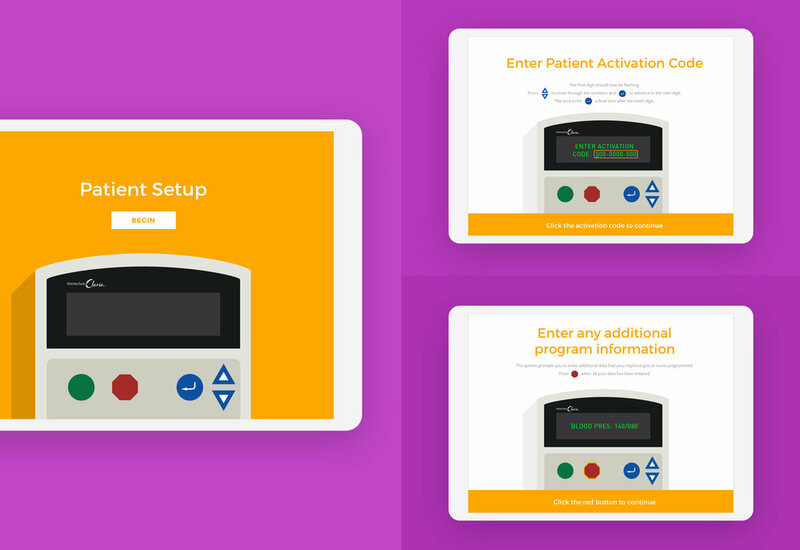 We created an explainer app with walk through animations taking the clinicians through all of the sections, as well as two case study demonstrations to show how the system works in practice. Created at Enso Studios for Baxter. Art Direction: Paul Cleveland. Additional Design: Kirsten Randall. Development: Youngjoo Park.